Seconded to Sumitomo Mitsui Trust Bank, Limited. ・Legal advice in the field of the Companies Act and the Financial Instruments and Exchange Act, etc. I will devote myself to offer legal services with swiftness and accuracy that meet clients’ needs, paying attention to changes in society and the economy. Tomita Yusuke, Mori Shunsuke,Beppu Fumiya, Okubo Naoki, Yoshihara Tomomichi and Motomura Takeshi co-authored "Shin Shoji Hanrei Binran No.717," which appears in Shoji Homu No. 2191. Tomita Yusuke's commentary titled "Japan Audit & Supervisory Board Members Association Publishes 'The Way of Considering Expected for the Audit and Supervisory Committee in Connection with the Right to Statement of Opinions on Election, etc. and Remuneration, etc.’” is available on the Shoji Homu Portal Site. Beppu Fumiya, Mori Shunsuke, Okubo Naoki, Tomita Yusuke,Yoshihara Tomomichi and Motomura Takeshi co-authored "Shin Shoji Hanrei Binran No.716," which appears in Shoji Homu No. 2188. Motomura Takeshi, Tomita Yusuke, Mori Shunsuke and Yamada Kohei co-authored the publication entitled "Index of Judicial Precedents for Shareholder's Meeting" which is published by Shoji Homu Co., Ltd.
Tomita Yusuke,Yoshihara Tomomichi,Mori Shunsuke and Motomura Takeshi co-authored "Shin Shoji Hanrei Binran No.715," which appears in Shoji Homu No. 2186. Tomita Yusuke, Hamasaki Yuki, Suzuki Tomohiro and Sasaki Tomoo contributed the publication entitled "Questions and Answers: Amendment of Inheritance Laws and Financial Practices" which is published by Economic Legal Research Institute. Mori Shunsuke,Tomita Yusuke,Yoshihara Tomomichi and Motomura Takeshi co-authored "Shin Shoji Hanrei Binran No.714," which appears in Shoji Homu No. 2183. Mori Shunsuke,Yoshihara Tomomichi,Motomura Takeshi and Tomita Yusuke co-authored "Shin Shoji Hanrei Binran No.712," which appears in Shoji Homu No. 2178. Tomita Yusuke's commentary titled "The Financial Services Agency Clarifies Which of Bank's Business Matching Services Fall into 'Other Ancillary Services'" is available on the Shoji Homu Portal Site. A book authored by our lawyers entitled "Q&A on Amendment to Law of Obligations - Fully Adapt to the Changes in Financial Business Practice" (recommended by Hosomizo Kiyoshi, special advisor of Iwata Godo and former Commissioner of the Financial Services Agency) is published by Banking Education Co. Ltd.
Mori Shunsuke,Yoshihara Tomomichi,Motomura Takeshi and Tomita Yusuke co-authored "Shin Shoji Hanrei Binran No.711," which appears in Shoji Homu No. 2175. Mori Shunsuke,Tomita Yusuke,Motomura Takeshi and Yoshihara Tomomichi co-authored "Shin Shoji Hanrei Binran No.710," which appears in Shoji Homu No. 2173. Tomita Yusuke and Fukatsu Haruno co-authored an article entitled "Inquiries Concerning Various Transactions and JA's Confidentiality Obligation," which appears in August 2018 issue of JA Kinyu Houmu. A book authored by our lawyers entitled "Theories and Business Practices of Prescription and Limitation of Period" is published by Nihon Kajo Publishing Co., Ltd.
Tomita Yusuke contributed to the publication entitled "Answer Book for Civil Trust: Key Points and Guidelines for Practitioners," published by Nihon Kajo Publishing Co., Ltd.
Mori Shunsuke,Uenishi Takuya,Motomura Takeshi,Tomita Yusuke and Yoshihara Tomomichi co-authored "Shin Shoji Hanrei Binran No.709," which appears in Shoji Homu No. 2170. Mori Shunsuke,Uenishi Takuya,Tomita Yusuke,Motomura Takeshi and Yoshihara Tomomichi co-authored "Shin Shoji Hanrei Binran No.708," which appears in Shoji Homu No. 2167. Tomita Yusuke's commentary titled "METI Seeks Public Comments on 'Contract Guidelines on Utilization of AI and Data (Draft)'" is available on the Shoji Homu Portal Site. Wakabayashi Shigeo, Matsuda Takao and our other lawyers co-authored the publication entitled "Compliance with Amended Civil Code: Key Points to Prepare Contract Documents" which is published by ShojiHomu Co., Ltd.
Uenishi Takuya,Tomita Yusuke,Sato Takaki,Mori Shunsuke,Yoshihara Tomomichi and Motomura Takeshi co-authored "Shin Shoji Hanrei Binran No.707," which appears in Shoji Homu No. 2165. Tomita Yusuke, Sato Takaki, Suzuka Shogo, Uenishi Takuya, Yoshihara Tomomichi and Motomura Takeshi co-authored "Shin Shoji Hanrei Binran No.706," which appears in Shoji Homu No. 2162. Uenishi Takuya, Suzuka Shogo, Tomita Yusuke, Sato Takaki, Yoshihara Tomomichi and Motomura Takeshi co-authored "Shin Shoji Hanrei Binran No.705," which appears in Shoji Homu No. 2159. Tomita Yusuke contributed to the publication entitled "Management and Succession of Property by Using Family Trust" which is published by Seibunsha. Tomita Yusuke, Suzuka Shogo, Sato Takaki, Uenishi Takuya, Yoshihara Tomomichi and Motomura Takeshi co-authored "Shin Shoji Hanrei Binran No.704," which appears in Shoji Homu No. 2156. Suzuka Shogo, Sato Takaki, Uenishi Takuya, Tomita Yusuke, Yoshihara Tomomichi and Motomura Takeshi co-authored "Shin Shoji Hanrei Binran No.703," which appears in Shoji Homu No. 2154. Tomita Yusuke authored an article entitled "Revision of the Law of Succession - Revision on the Framework of Statutory Reserved Share" which appears in the January 2018 issue of Ginkou Homu 21. Tomita Yusuke's commentary titled "METI Holds 'Study Group on Corporate Governance System (CGS)' (The Second Stage)" is available on the Shoji Homu Portal Site. Tomita Yusuke, Suzuka Shogo, Uenishi Takuya, Sato Takaki, Yoshihara Tomomichi and Motomura Takeshi co-authored "Shin Shoji Hanrei Binran No.702," which appears in Shoji Homu No. 2150. Uenishi Takuya, Suzuka Shogo, Tomita Yusuke, Sato Takaki, Yoshihara Tomomichi and Motomura Takeshi co-authored "Shin Shoji Hanrei Binran No.701," which appears in Shoji Homu No. 2147. Tomita Yusuke authored an article entitled "Contractual Practice of Family Trust from Financial Institution's Viewpoints" which appears in September 2017 issue of Shintaku Forum. Motomura Takeshi, Yoshihara Tomomichi, Tomita Yusuke,Sato Takaki, Uenishi Takuya and Suzuka Shogo co-authored "Shin Shoji Hanrei Binran No.700," which appears in Shoji Homu No. 2145. Motomura Takeshi, Yoshihara Tomomichi, Oura Takash,Tomita Yusuke, Uenishi Takuya and Suzuka Shogo co-authored "Shin Shoji Hanrei Binran No.699," which appears in Shoji Homu No. 2142. Tomita Yusuke's commentary titled "Ministry of Justice Seeks Public Comments on 'Proposal for Amendment of the Civil Code (Inheritance Related), etc. Added after the Interim Proposal (Additional Proposal)'" is available on the Shoji Homu Portal Site. Motomura Takeshi, Yoshihara Tomomichi, Oura Takash,Tomita Yusuke, Uenishi Takuya and Suzuka Shogo co-authored "Shin Shoji Hanrei Binran No.698," which appears in Shoji Homu No. 2140. Motomura Takeshi, Yoshihara Tomomichi, Oura Takash,Tomita Yusuke, Suzuki Yuichi and Uenishi Takuya co-authored "Shin Shoji Hanrei Binran No.697," which appears in Shoji Homu No. 2137. A book by our office entitled "Q&A Regarding Amendments to the Civil Code Having Influence on Financial Business Practice -Law of Obligations, Handling of Deposits and Guarantee Business Will be Changed-" (recommended by Hosomizo Kiyoshi, special advisor of Iwata Godo and former Commissioner of the Financial Services Agency) is published by Banking Education Co. Ltd.
Motomura Takeshi, Yoshihara Tomomichi, Oura Takash,Tomita Yusuke, Suzuki Yuichi and Uenishi Takuya co-authored "Shin Shoji Hanrei Binran No.696," which appears in Shoji Homu No. 2134. Motomura Takeshi, Yoshihara Tomomichi, Oura Takash,Tomita Yusuke, Suzuki Yuichi and Uenishi Takuya co-authored "Shin Shoji Hanrei Binran No.695," which appears in Shoji Homu No. 2132. Motomura Takeshi and Tomita Yusuke authored an article entitled "New Points to Remember for Operation of Shareholders Meetings in Light of Fuji Media Holdings, Inc.Case – Regarding the Suitability of Questions by Employee Shareholders -,” which appears in Business Law Journal No. 111. Tomita Yusuke's commentary titled "The Ministry of Justice Updates Pages of its Main Official Notices, etc. on Commercial and Corporate Registration on the Website (Regarding a Document that Proves the Payment of the Investment)" is available on the Shoji Homu Portal Site. Motomura Takeshi, Yoshihara Tomomichi, Oura Takash,Tomita Yusuke, Suzuki Yuichi and Uenishi Takuya co-authored "Shin Shoji Hanrei Binran No.694," which appears in Shoji Homu No. 2129. Motomura Takeshi, Yoshihara Tomomichi, Oura Takash,Tomita Yusuke, Suzuki Yuichi and Uenishi Takuya co-authored "Shin Shoji Hanrei Binran No.693," which appears in Shoji Homu No. 2126. Oura Takashi, Tomita Yusuke, Suzuki Yuichi, Uenishi Takuya and Suzuka Shogo jointly authored the publication entitled "Q&A on Adult Guardianship System Useful for Financial Business Practice" which is published by Economic Leal Research Institute. Motomura Takeshi, Yoshihara Tomomichi, Oura Takash,Tomita Yusuke, Suzuki Yuichi and Uenishi Takuya co-authored"Shin Shoji Hanrei Binran No.692," which appears in Shoji Homu No. 2123. Tomita Yusuke's commentary titled "Japan Association of Corporate Directors Publishes 'Guidelines on Executive Compensation 4th edition'" is available on the Shoji Homu Portal Site. 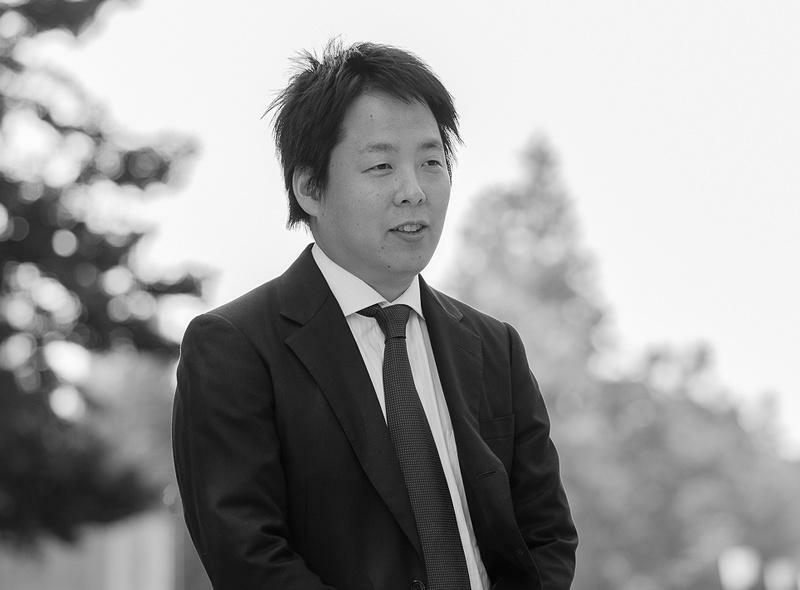 Tomita Yusuke authored an article entitled “Family Trust and Judgement of Trustors, etc.” which appears in Trust Forum Vol. 6. Tomita Yusuke participated in “Study Group for Understanding Actual Situation and Organizing Issues on Family Trust” held by Trust Forum Foundation, which released a report entitled “The Current Situation and Issues on Family Trust” in Trust Forum Vol. 6. Tomita Yusuke authored an article entitled "OJT of Banking Office Learning from Financial Precedents, Deposit Operations Edition, A Case Admitting Repayment of a Deposit According to Contract Mandating Posthumous Affairs between a Decedent and a Person Not Having Heirship" which appears in Kinyu Houmu Jijo No. 2045. Toji Yoshihiro, Usui Kouji, Aoyama Masahiro, Oura Takashi, TomitaYusuke and Uenishi Takuya authored an article entitled "Full Check of Exceptional Cases Regarding Loan Transactions" which appears in Ginkou Jitsumu No.673. Toji Yoshihiro, Izumi Atsushi, Usui Kouji, Okushi Kenichi, Kashiwagi Kensuke, Eiguchi Manabu, Ito Hiroki, Matsuda Takao, Aoki Shinji, Kato Mayumi, Mutou Yuuki, Onimaru Nozomi, Fukasawa Atsushi, Arata Ryusuke, Tomita Yusuke, Sato Takaki, Sakamoto Masafumi, Kudo Ryohei, Beppu Fumiya and Karasawa Akira co-authored an article entitled "Special Feature: The Companies Act as Amended and Questions and Answers of Relevant Business Practices – Revisions Concerning Merger and Acquisition" which appears in Kinyu Houmu Jijo No. 2002. Tomita Yusuke's commentary titled "Interim Report on the Roles of and Support System for Outside Directors and Others" is available on the Shoji Homu Portal Site. Motomura Takeshi, Sato Takaki, and Uenishi Takuya contributed to the publication entitled “Handbook on how to prevent antisocial transaction and money laundering for banking offices” published by Ginko-Kenshusha (Banking Education Co., Ltd.). 16 lawyers at our office including Motomura Takeshi and Okushi Kenichi contributed to the publication entitled "Q&A concerning Internet banking" published by Kinzai. Tomita Yusuke, Motomura Takeshi, Oura Takashi and Sato Takaki co-authored the final article entitled "Self report on violation of the Subcontract Act" of a serial article entitled “Application of the Subcontract Act on various industrial sectors,” which appears in Business Homu Vol. 13 No. 10. Oura Takashi, Motomura Kentaro, Tomita Yusuke and Sato Takaki co-authored the fifth article entitled "Important points in the transport industry, printing and publishing industry, and manufacturers (repair contract)" of a serial article entitled “Application of the Subcontract Act on various industrial sectors,” which appears in Business Homu Vol. 13 No. 8. Sato Takaki, Motomura Takeshi, Hirayama Kentaro, Oura Takashi and Tomita Yusuke co-authored the fourth article entitled "Important points in the software industry" of a serial article entitled “Application of the Subcontract Act on various industrial sectors,” which appears in Business Homu Vol. 13 No. 7. Tomita Yusuke, Hirayama Kentaro, Motomura Takeshi, Oura Takashi and Sato Takaki co-authored the third article entitled “Important points in the retail industry (such as supermarkets)” of a serial article entitled “Application of the Subcontract Act on various industrial sectors,” which appears in Business Homu Vol. 13 No. 6. Kashiwagi Kensuke and Tomita Yusuke co-authored an article entitled "Presumed Q/As for CFO - Exchange rate fluctuations and change in trading unit," which appears in Keiri Jouhou No. 1344. Sato Takaki, Hirayama Kentaro, Motomura Takeshi, Oura Takashi and Tomita Yusuke co-authored the second article entitled "Investigation and measures by Authorities" of a serial article entitled “Application of the Subcontract Act on various industrial sectors,” which appears in Business Homu Vol. 13 No. 5. Tomita Yusuke delivered a lecture titled "Current Situation and Prospect of Family Trust from the Viewpoint of Banking Practice" at the Japanese Bankers Association. We held a seminar entitled "The Latest Trend of Business Succession Practice in Light of Business Succession Guidelines," inviting officers of the Small and Medium Enterprise Agency as guest speakers, at our office on February 20, 2017. Tomita Yusuke delivered a lecture entitled "Practical Issues in the area of Family Trust and their Measures" at Nihonbashi Campus of Waseda University. Toji Yoshihiro, Okushi Kenichi, Aoki Shinji, Kudo Ryohei and others represented a defendant financial institution in a case judged on March 5, 2015, at Tokyo High Court, where dismissal of all the claims was admitted, and judged in prior instance on September 9, 2014, at Tokyo District Court (the case decided that neither a breach of principle of suitability or a breach of accountability is recognized even if explanation about the relevant market valuation was not provided to a customer while the customer had no knowledge about market valuation calculated by financial engineering method) and a commentary article on the case appears in Kinyu Houmu Jijo No. 2032.